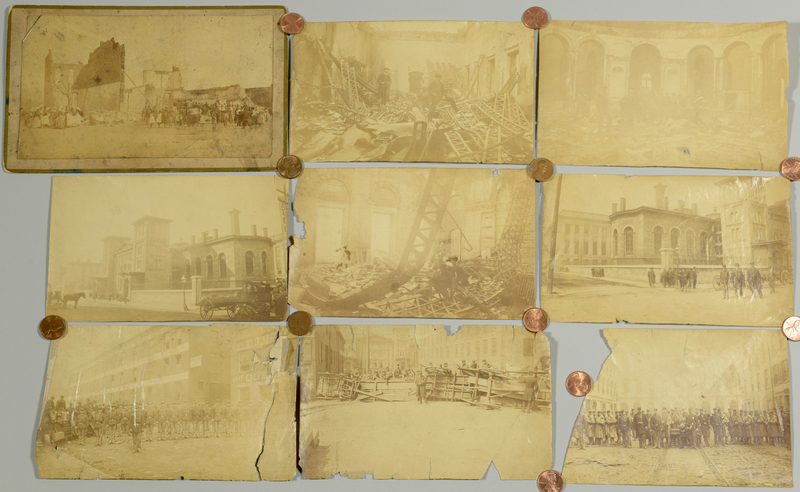 A group of 8 unmounted photographic prints depicting the 5th Battery of Ohio National Guard and the aftermath of the 1884 Cincinnati Courthouse Riots, plus one likely unrelated cabinet card photograph of a crowd surveying the ruins of a damaged building, with Pulaski TN photography studio backstamp. 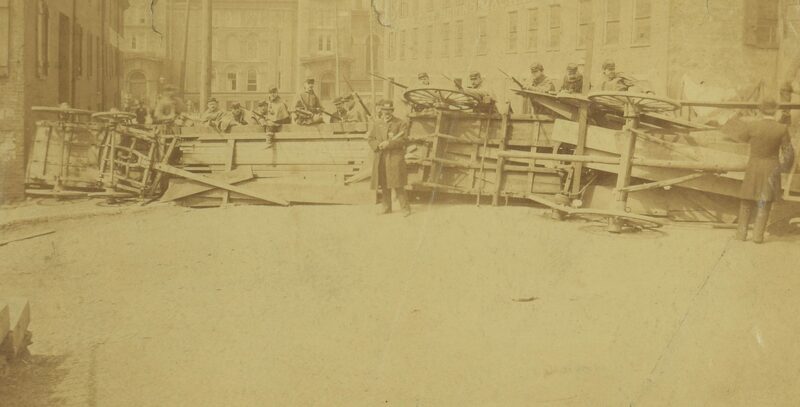 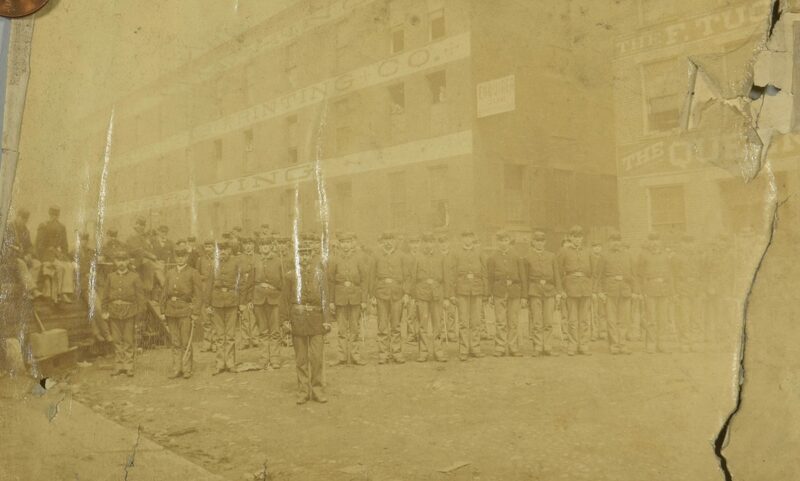 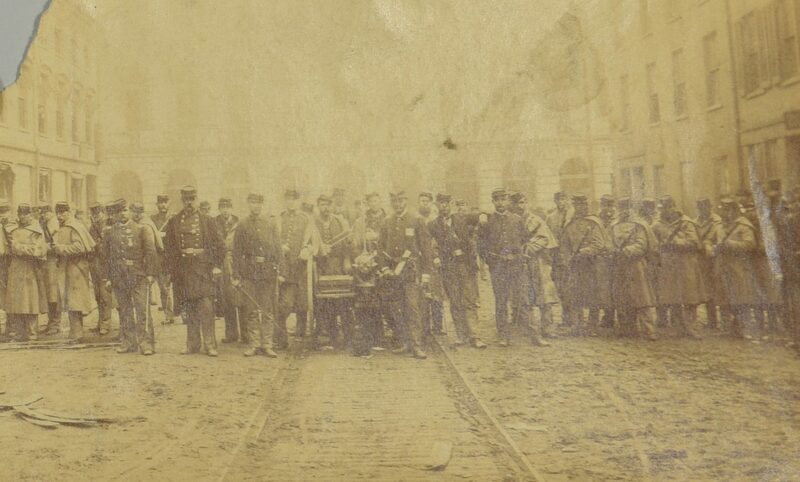 1st-8th items: Albumen photograph prints of men in uniform standing guard behind a gatling gun in the streets of Cincinnati, wagons overturned to form a barricade, and images of the destruction inside the courthouse. 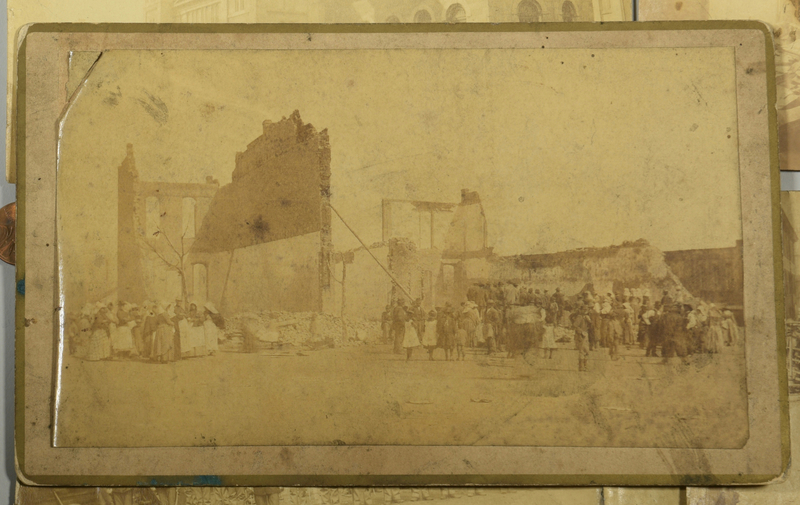 9th item: Cabinet card depicting a crowd of people, including African Americans, surveying the remains of burned out brick buildings. Stamped on back The Pulaski Art Gallery, W.D. Corbitt, Operator, Pulaski TN. 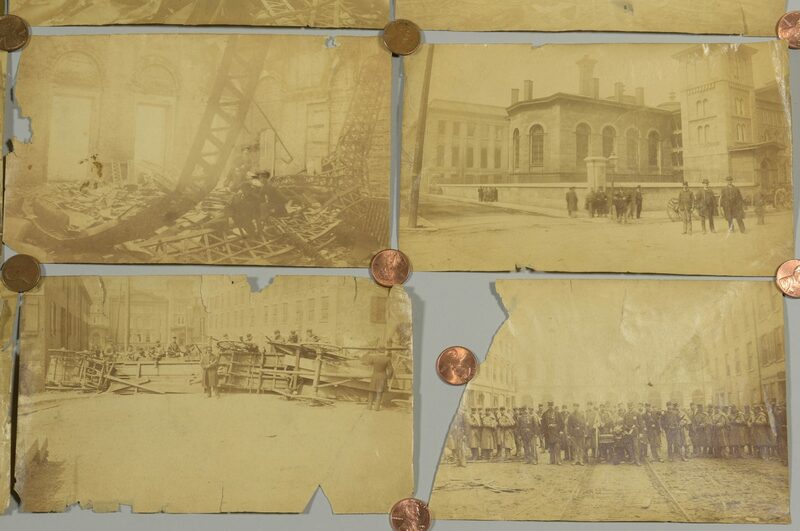 5" H x 8 1/2" W. Provenance: the estate of Sarah Hunter Hicks Green, formerly of Historic Devon Farm, Nashville, Tennessee. 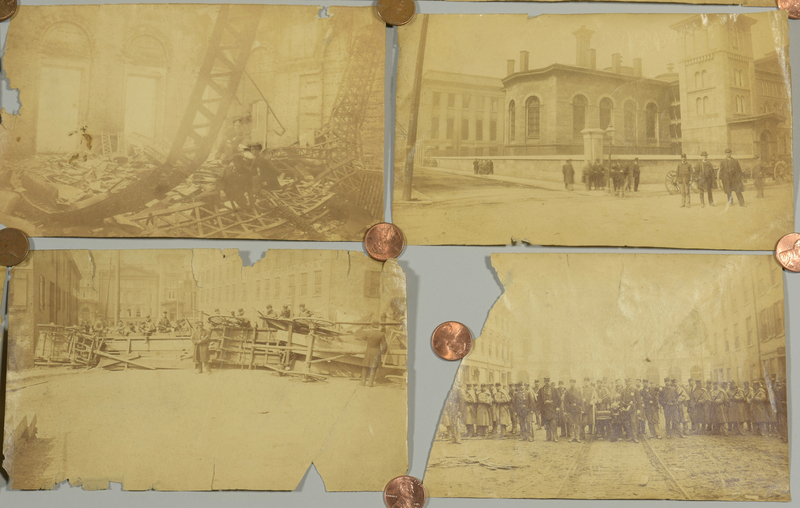 CONDITION: Unmounted prints have several edge and corner losses, and fading. 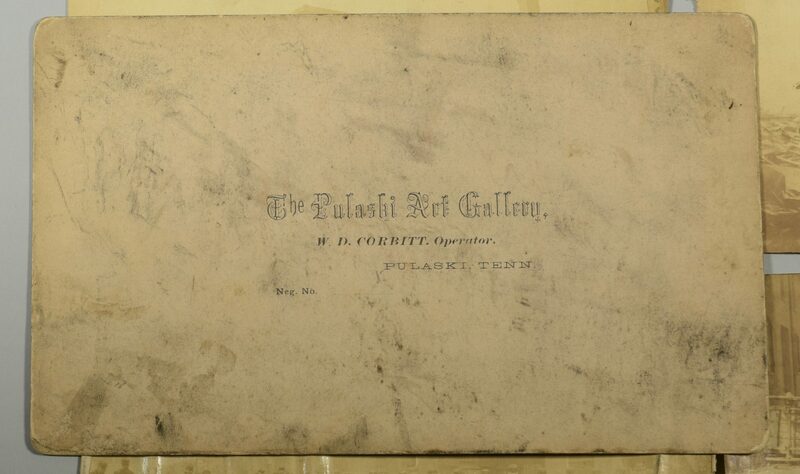 Mounted print has light grime, small loss to upper left corner.